In a significant order which is a direct fall out of the worsening of pollution level in Delhi and National Capital Region (NCR) for nearly two weeks after Diwali when the region was enveloped by thick smog, the Supreme Court today forthwith banned sale, stocking of all kinds of fire crackers and issuance of new license in Delhi and NCR region. 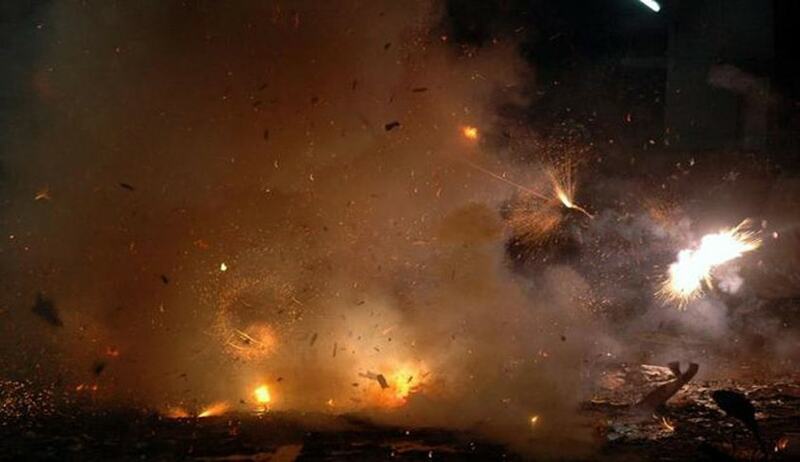 The court was acting on petitions filed by three infants Arjun Gopal, Aarav Bhandari and Zoya Rao Bhasin, all aged between six months and 14 months, for complete ban on crackers. “Over the last 2 years, Delhi has retained unique distinction of being most polluted city in the world. Levels of Particulate Matter are highest and across the country, over 7,00,000 deaths occur annually due to air pollution-related diseases. Studies show citizens of India have 30 per cent lower lung capacity than Europeans and that the children are worst affected, as their lungs are not fully developed, making their systems more vulnerable,” their petition said. The infants said while considerable debate and long-term measures are being discussed by “slow moving state machinery for implementation of measures to control pollution levels in Delhi”, the highest court of the land was “duty bound” to take interim steps in effectuating the people’s right to clean, healthy and breathable air under Article 21 of the Constitution. “We are the most vulnerable category when it comes to air pollution, especially from suspended particles and toxins. We are foremost prone to lung disease, asthma, coughing, bronchitis, retarded development of the nervous system and cognitive impairment:” said the infants in their petition. The PIL had quoted a May 2014 report of the WHO which said Delhi was the most polluted city in the world. It said the Ambient Air Pollution (AAP) database contains results of outdoor air pollution monitoring from almost 1,600 cities in 91 countries. The national Capital has the highest concentration of PM 2.5 – particulate matters less than 2.5 microns – form of air pollution, which is considered most serious and can cause respiratory diseases and other health problems.